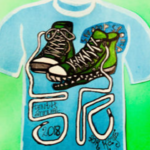 5K for Kaye “Swamp Stomp” Online Registration | Gatewood Schools, Inc.
5K for Kaye on Sunday, April 28th, 2019. 1 mile starts at 2:30pm and the 5k at 3pm. Online Registration has started! Click Here! Come run through the countryside of Eatonton Georgia at the Swamp Stomp 5K and Fun Run. Don’t worry, you will not be running through any swamps. Awards: Given after the 5K. Overall and Masters male/female, overall Gatewood student male/female, overall Gatewood Alumnus male/female and top finishers in age groups beginning with 8 and under to 75 and over. Fun Run open to all ages. Shirts and Goodies: Shirts are guaranteed to those who register by 4/18/19. Those registering after that date and on race day are not guaranteed a shirt or size. There will be plenty of refreshments.